Buy The Escorts / The Do's & The Don'ts CD or download original MP3s including I Wonder If She Loves Me. See track listing for details. 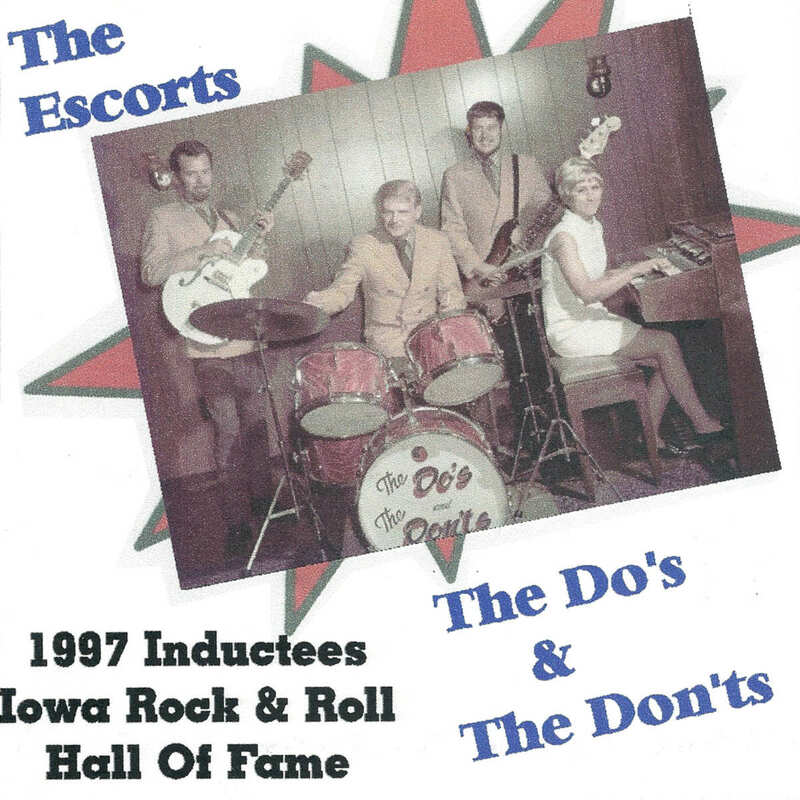 Original recordings released in the 60's and 70's by The Escorts later known as The Do's & The Don'ts now on CD. 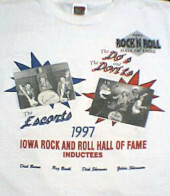 1997 Inductees into the Iowa Rock N Roll Music Association's Hall of Fame. The first 10 tracks were recorded as The Escorts, the rest of the tracks were recorded under the new name The Do's & The Don'ts. These combined 24 tracks feature the Red Bird Records release of I Wonder If She Loves Me, written by Roger Booth, (single #10-072). I Wonder If She Loves Me was listed in the Spotlight Singles of the July 2, 1966, issue of Billboard Magazine. Billboard quote: "Predicted to reach the top 60 of the HOT 100 chart" and "No newcomer to the Rock and Roll scene, the group has a hot single sure to score high in the teen-age market". Read more about I Wonder If She Loves Me. To listen to more of these songs see The Escorts/The Do's & The Don'ts Playlist and MP3 Download. Billboard, June 27, 1964 quote: "The Escorts have operators going for their The Wobble Drum"
1997 Iowa Rock N Roll Hall of Fame Inductees. Also available on CD is The Do's & Don'ts 45 Years Live.